Physiotherapy can be successful in the treatment of non-specific low back pain. Evidence of this can be found in the Australian Physiotherapy Association’s Low Back Pain Position Statement. Beaumaris Physiotherapy is up to date with current research in the area of non-specific low back pain and the APA Low Back Pain Position Statement. CLASSIFICATION OF NON-SPECIFIC LOW BACK PAIN. There are many classifications for non-specific low back pain. Often it can be difficult to determine the exact source of the pain. Non-specific low back pain may be wide spread, diffuse, achy, or even have some sharp sensations with movement. 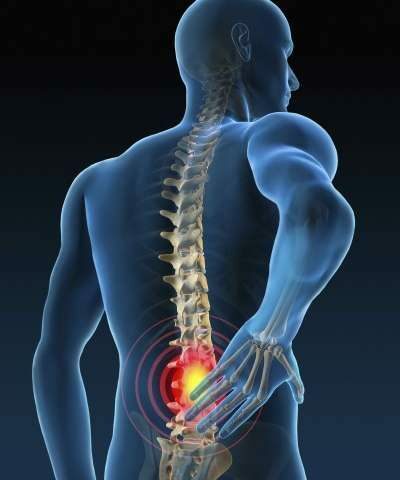 Sometimes there may be referred leg pain when the low back pain is bad. Pain may be aggravated by standing and walking, or bending and sitting. The Physiotherapist will use clinical reasoning skills to determine the likely source or causes of the non-specific low back pain. The patient may require hands on treatment to mobilise stiff joints, stretch tight tissues, and mobilise neural structures. Specific exercise prescription may be required to retrain the lumbar spine stabilising muscles and generally strengthen and mobilise the spine. Other exercises may be commenced to retrain movement patterns to take pressure off the painful structures and teach the patient to move in the most efficient manner. The physiotherapist will also encourage patient self management so the patient can be responsible for the daily completion of their exercise program to ensure the chance of re-injury is reduced. We provide physiotherapy service to Beaumaris in Ocean Reef as well as across all the Northern Suburbs including Heathridge physio services, Currambine, Mullaloo physiotherapy, Joondalup, Connolly, Beldon and Iluka physiotherapy.